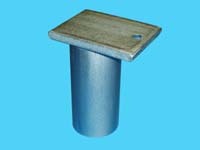 Dock Accessories | Dock Tools | Made in the USA | VE-VE Inc.
Our QUALITY AMERICAN MADE Dock Tools help you build, maintain and utilize your dock better and easier. D-594; Dock Pipe Puller / Remover. 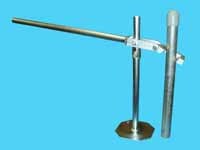 The D-594; Dock Pipe Puller / Remover is used to pull out dock anchoring pipe from the lake / river bottom. 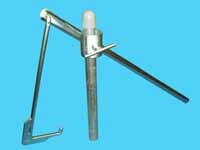 Puller Jaw works on (1-1/4" (1-5/8" O.D. )), (1-1/2" (1-7/8" O.D.)) & (2" (2-3/8" O.D.)) Dock Pipes. D-595; "Dock Pipe, Sand Auger Wrench." 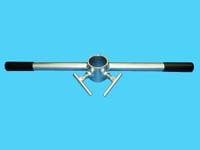 Use "Dock Pipe Wrench" to screw in & out dock pipe with "Pipe Augers" mounted to them from lake/river bottom, or in some cases, to pull out dock pipe W/out Augers. NOTE: "Auger Wrench" works on 1-1/4", 1-1/2" & 2" Dock Pipe.